In her late forties, after a noisy upbringing as one of six children and adulthood as a vocal feminist and mother, Sara Maitland found herself living alone in the country and, to her surprise, falling in love with silence. 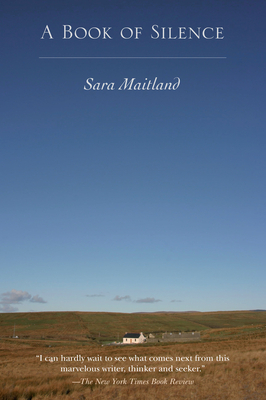 In this fascinating, intelligent, and beautifully written book, Maitland describes how she set out to explore this new love, spending periods of silence in the Sinai desert, the Scottish hills, and a remote cottage on the Isle of Skye. Maitland delves deep into the rich cultural history of silence, exploring its significance in fairy tale and myth, its importance to the Western and Eastern religious traditions, and its use in psychoanalysis and artistic expression. Her story culminates in her building a hermitage on an isolated moor in Galloway, and as she guides readers through experiences of silence in this new home, she evokes a sense of peace that includes the reader in its intimate tranquility.